They often travel in groups, though can be independent too. I sometimes see one run ahead, then wait for another to catch up. Cats get a reputation for being solitary creatures, but they are really social ones, on their own terms. The varroa mite treatments that we started last week are a three-week process, so we inspected and treated the beehives again this weekend. I didn’t notice too much interest in me, but Jenn said she saw some bees following me, so the suit was probably a wise precaution, especially having been stung last week (which was uncomfortable for a few days, but almost back to normal now). During the winter months, I turn off the water supply to the gardens, to prevent the pipes from freezing and bursting. Once the overnight temperatures are safely above freezing, I turn them on again, which I did yesterday. A busy day of garden maintenance! It’s raining today, and the canopy is rather out of commission, so I spent some time today replacing the blade drive belt on the big zero-turn mower, and assembling one of the two beehives. 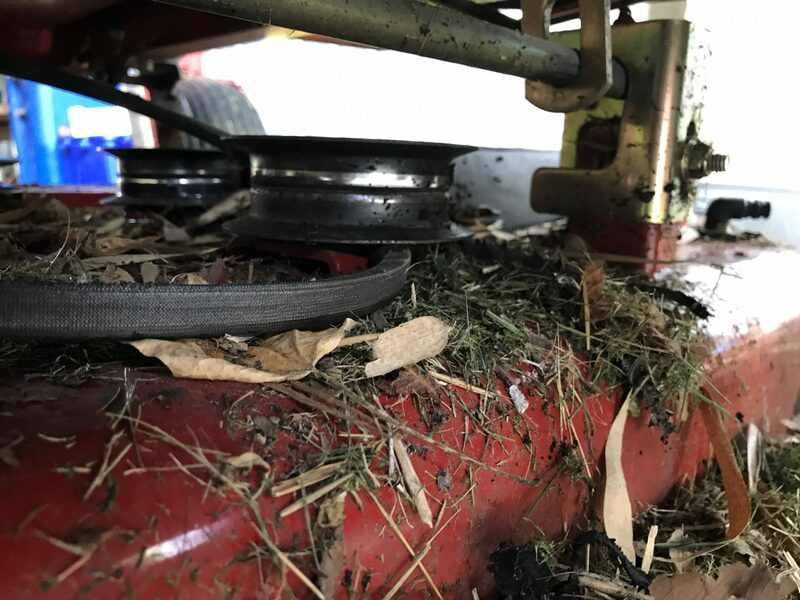 The belt had become derailed and damaged while cutting really long grass on the field — we’d left it a bit longer than we’d liked for the first mow, due to the lack of sunny days recently. So I needed to remove the damaged belt, and feed in a replacement. Not a trivial operation, but I’ve done it a few times before; takes about an hour. 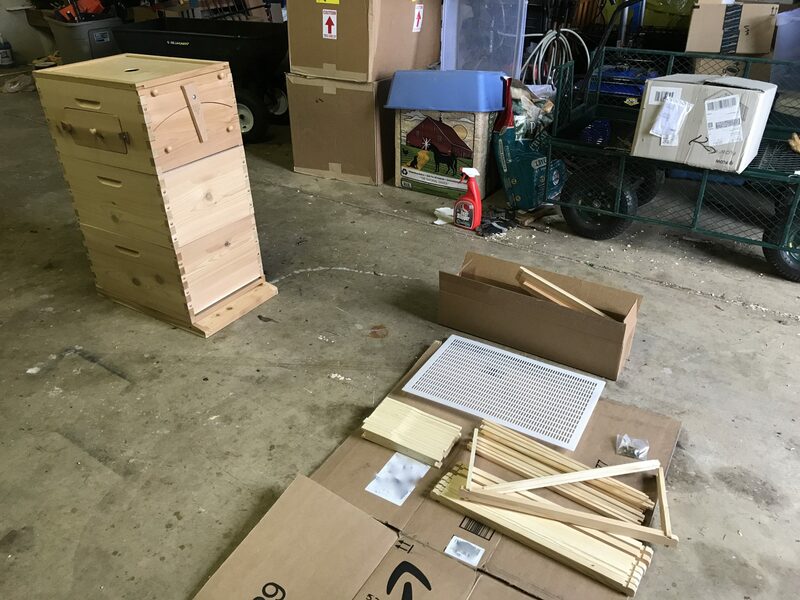 Next, I started assembling one of the beehives. I didn’t have time to finish, but I got the two brood boxes and the honey super done. Some other day I’ll finish off the frames and roof, and set up the second box.